What is the Best Yarn For Knitting Baby Blankets? The best yarn for knitting baby blankets is usually a soft cotton blend. Babies can easily be allergic to an animal yarn until they have developed their immune systems. So be careful about exposing them to a raw animal yarn. If the yarn you are thinking of purchasing says it is a Baby yarn, then that means it has been properly processed to eliminate the danger to your baby. It may even be called cashmere or rabbit or others, but it has been processed to make it gentle for babies. But a safe bet is a Baby soft cotton yarn and is considered by many to be the best baby yarn in the world. I love them all. But everyone has their favorite. It occurred to me one of the reasons I love knitting for babies is the baby soft cotton yarn. I mean really have you thought about this? It is soooooooo soft and squishy. Holding it in your hands as you work with the knitting needles producing your beautiful creation, it is true euphoria. This truly beautiful and very soft yarn, especially made for Baby is of superior Quality. 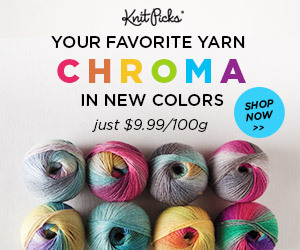 This baby yarn is machine washable which is so important for mother, and has a wide range of colors. And this yarn is suitable for many types of patterns and makes any stitch that you make well defined and uniquely beautiful. Knitters of any skill level is going to love this yarn. Some knitters swear by Bernat baby yarns. It is really amazing. Soft and easy to work with, and very gentle for baby delicate skin. It is really so nice for a baby knit pattern, and it is perfect and one of the best yarns baby blankets can be made of. Try this free Baby Blanket Knitting Pattern, it is really elegant and beautiful. And when you choose one of several knitting yarn for baby it is to die for. So nice because you can make it any size you like. 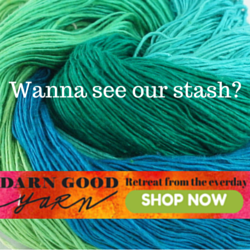 Based on how much yarn you have and how much energy you want to expend. And since we are talking about knitting baby blankets, I have several Baby blanket patterns on this post. I am sure you will find a free baby blanket knit pattern that will please you. This baby blanket knitting pattern is in multiples of 10, so just cast on how ever many you want for the width of your choice. Use any size needle you want, realizing that a larger needle is going to take more yarn. Or you can knit this with bulky baby yarn and it will go even faster. I Knit up this Swatch for you to be able to see the pattern. Enjoy this pattern, I really like it. And it is a great pattern for testing out different softest baby yarns. CO a multiple of 10 sts. Rep Rows 1 – 10 until desired length. The Softest Yarn make gorgeous baby blankets. You can’t beat it, Baby soft yarn against your skin, better yet. Go ahead, Go for it! You’ll love it! I was contacted by one of our readers that had liked this free knitting pattern and had started to knit it. She wanted to know if I would like to add some photos of her finished baby blanket, as an update to this blog. Well yes!! of course I would. How terrific to have that kind of interaction. Her name is Jenny, she lives in Australia, and she said she decided to make this on circular needles and just knit back and forth. It made it easier for her to carry around and it was easier for her to manage, rather than using single pointed knitting needles, as many knitters are used to. So that is a great suggestion for others. She also chose to put a garter stitch border all the way around the baby blanket, That is beautiful and so easy. So another great suggestion. Here are some examples of gorgeous soft baby yarns including some that have been processed for baby comfort and safety. These are all comfortable for baby and great for baby blanket knitting patterns You will enjoy the feel of these yarns as you work your knitting needles. So In Summary: What is the Best Yarn For Knitting Baby Blankets? The Best Yarn For Knitting Baby Blankets would Be a Soft Cotton Yarn or any soft yarn that has been properly processed to make it baby ready, comfortable and safe for babies to avoid problems with allergies. There are so many choices for best soft baby yarns that you may have to sample several of them to knit for your baby. You may find you have several favorites. And when you are ready for more patterns, Here are some more baby blankets to knit. 1 What is the Best Yarn For Knitting Baby Blankets? 8 So In Summary: What is the Best Yarn For Knitting Baby Blankets? I love your blog, and you are so right with what you say, I love the soft feel of the yarn you use for baby knitting. My mother is or was into knitting in a big way, but we live in such a hot climate now that she doesn’t do it much anymore. She also used to knit dolls clothes for my baby doll many many years ago, I wonder if she will do that again for her grand daughter? I am always searching online for articles that can help me. A friend emailed me a link to your blog. He said, “Hey check this blog out, it sounds just like you”, and wow was he ever right. If I didn’t know better I could have sworn I’d written some of these posts myself. Thanks for making me smile today. Tis the simple things in life! I used Bernat yarn to knit a baby blanket for my son. We both love it very much! I agree, It is remarkable how beautiful some of the patterns are. Thanks For stopping by Elf, long time no see.